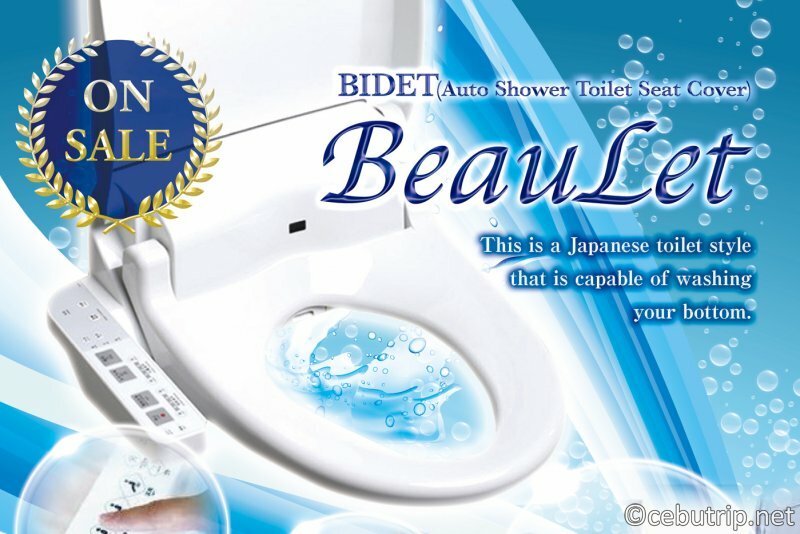 "BeauLet" Now in Cebu. 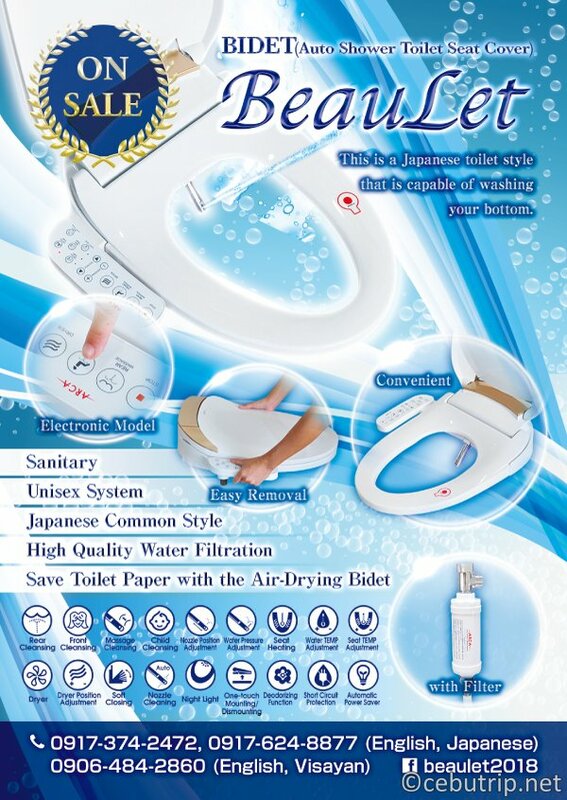 An easy to install washing toilet seat. 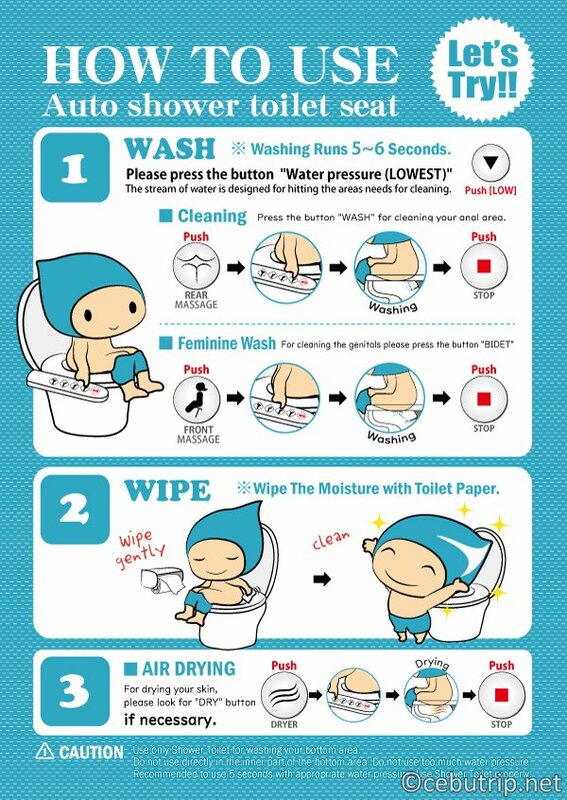 We suggest to you a toilet style up a notch! 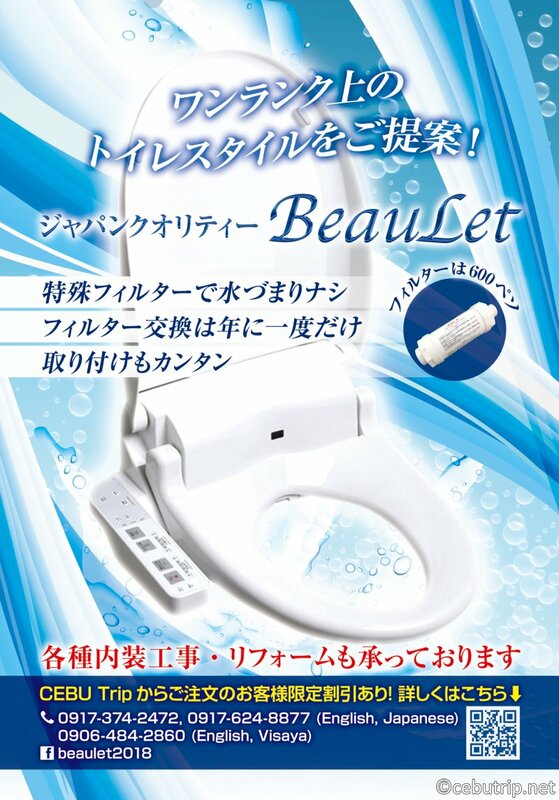 Cleaning toilet seat "BeauLet"
In Japan it is a common thing, the "washing toilet seat." In Japan, it is also installed in public facilities and restaurants. In Cebu, it is a problem of water pressure etc. Even luxury hotels do not have this kind of toilet. There are also many cases where electrical installation is necessary to install, and it is not that powerful now. 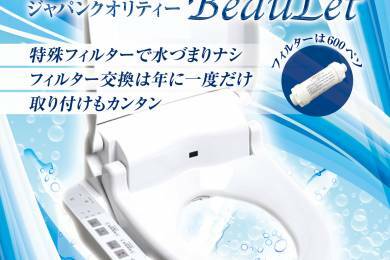 Some of the Japanese tourists often complain because they normally use the washing toilet seat. Is there anyone living in Cebu who wants to set up such toilet? Did you know that such 'cleansing toilet seat' is also sold in Cebu? There is no problem with using a "special filter" for water jams if you are worried. Electric construction necessary for installation is also available. There is no worry about support for emergency as purchase is done by a Japanese company. It is also possible to set up in hotels, shops, language schools, etc., as well as for private homes. If you are considering this installation as one of differentiation from other stores please feel free to contact us. ※ Please feel free to inquire about the presence or absence of other functions. ※ Special benefits are available if you order from Cebu Trip! Please feel free to inquire from the inquiry form below. Please enter "name" and "e-mail address" in the "reservation & inquiry" form below. ※ "Request reservation date" and "Number of people" need not be entered. We will send you an email from the person in charge later.